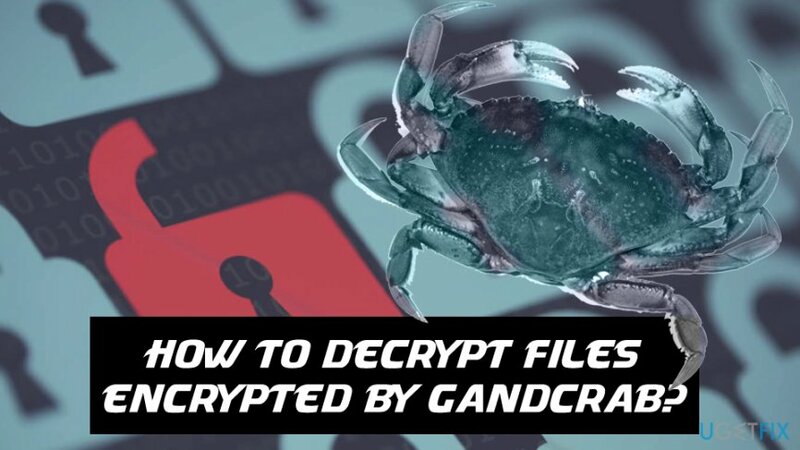 Home »	Recover » How to decrypt files encrypted by Gandcrab? Issue: How to decrypt files encrypted by Gandcrab? 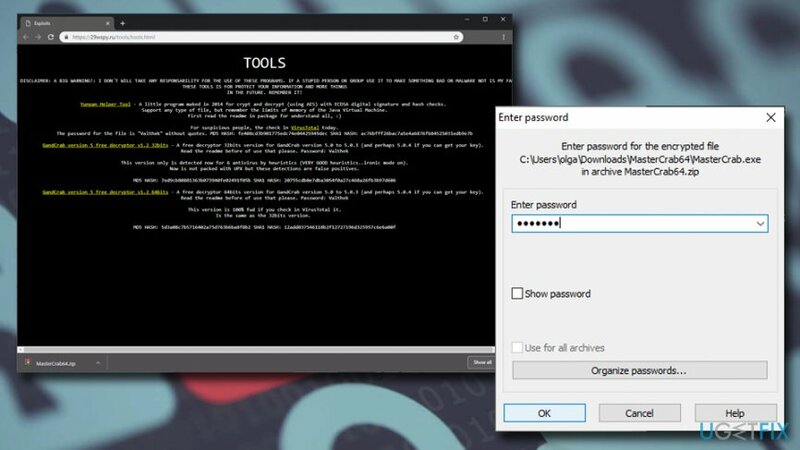 GandCrab ransomware originated in early 2018, and, within a little over a year of its lifespan, managed to release a few dozens of versions that lock up users' files with the help of Salsa20, AES and RSA-2048 encryption algorithms and demands a ransom for the decryption key. However, you should not contact cybercriminals and rely on alternative methods that can help you decrypt files encrypted by Gandcrab. While initial malware released appended .CRAB, .KRAB, and similar file extensions, Gandcrab v5 switched to a different, improved model of the virus. The latest variants use a random combination of characters as an extension, complicating GandCrab decryption procedure even further. Additionally, Gandcrab saw a collaboration with other malicious threats like Vidar or Emotet. Downloaded via backdoor malware, etc. As evident, it is best not to get infected with GandCrab in the first place. Unfortunately, users are not that careful when it comes to cybersecurity: they open malicious spam email attachments, do not patch their systems, avoid anti-virus software, and similar. Therefore, make sure you use security measures to prevent ransomware infections in the future. Additionally, you can use GandCrab vaccine that would prevent the execution of the malicious script and, consequently, the file encryption. The question that interests users the most is “Can I decrypt files encrypted by Gandcrab?.” The answer to this question is not that simple, as, it depends on the version of the malware, whether or not backups were prepared if malware failed to delete Shadow Volume Copies, etc. 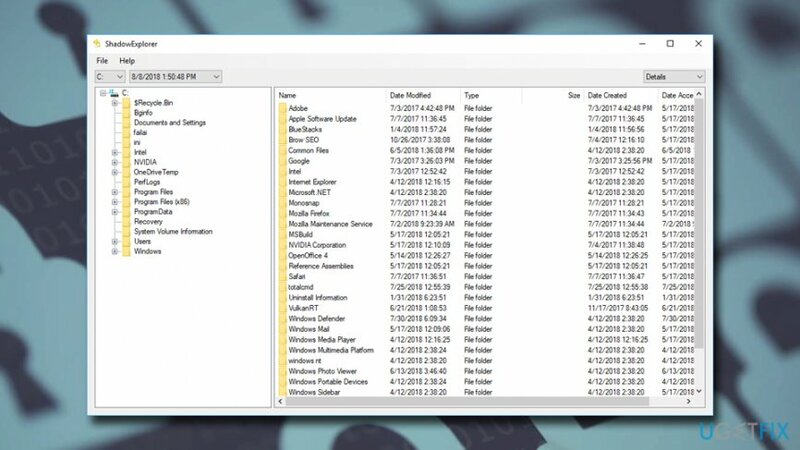 If you had backups prepared before GandCrab ransomware attacked your computer, you should be able to copy and paste all your data without any problems. However, make sure you remove GandCrab virus before you proceed with file recovery, otherwise, all the backups will be locked as well. 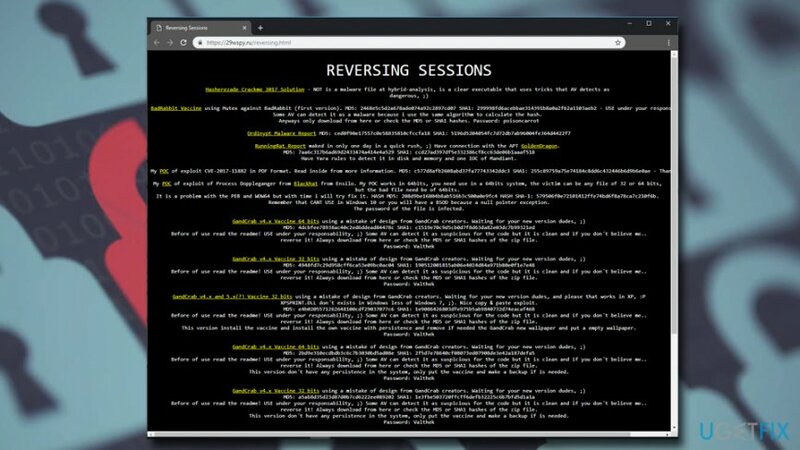 If you do not have backups, several other options are available to decrypt files encrypted by Gandcrab. There are official decryptors available, as well as third-party tools. Please explore all the possible options below. As we already mentioned, you should remove GandCrab ransomware before you attempt to recover your files. First, you need to download and install security software that can detect the threat. There are plenty of applications available, so make sure you choose the one that suits you the best. Once you install an AV engine, you will have to enter Safe Mode with Networking to perform a full system scan. More details on how to remove Gandcrab ransomware can be found in this video. Download the Official GandCrab decryptor. Pick Scan Entire System or select a specific folder you want the tool to decrypt files from. The latest variant of the decryptor will work versions 1, 4, 5.0.1 through 5.1. Independent security researchers are continually working on new methods to decrypt Gandcrab ransomware. 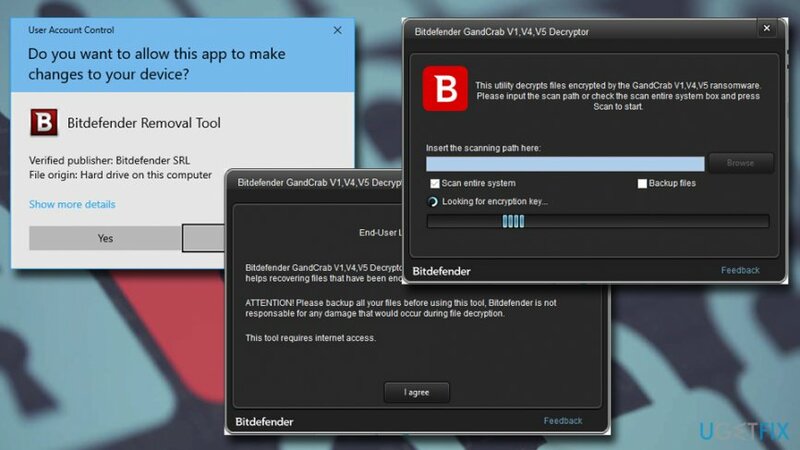 Therefore, if the official tool from Bitdefender does not work for you and you are affected by GandCrab version 5.0 to 5.0.3, you can download an alternative decryptor here. Once you download the tool for your version of Windows (32bits or 64bits), extract the zip file. You will be asked to enter the password – type in Valthek and click OK.
Once MasterCrab.exe opens, type in Y and hit Enter. The software will decrypt your files. Note that you can find more detailed instructions in the README.txt file. 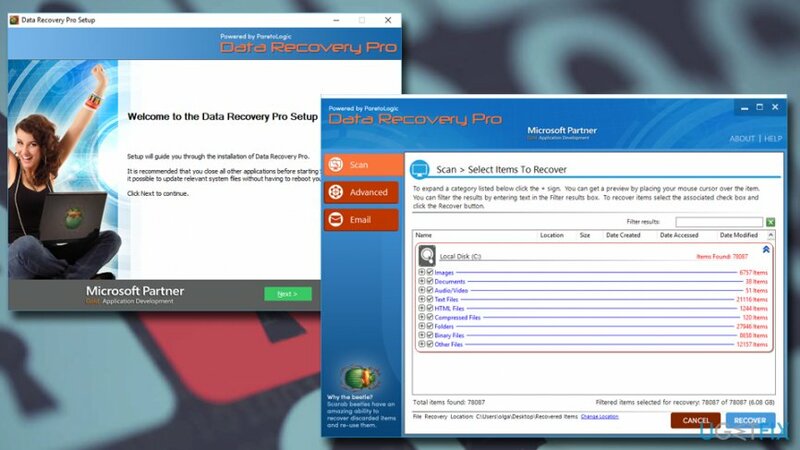 Download Data Recovery Pro software and then install it by following on-screen instructions. Once installed, open the program and start a scan – pick Full Scan option and seclect Start Scan. You can also look for specific files – just enter a keyword. Once the scan is complete, choose all the files you can to return and click Recover. Download ShadowExplorer and install it by using on-screen instructions. Open the application and choose the drive you want to recover data from. Click Export (you may also specify where to export files). Go to the vaccine hosting site and download the appropriate tool. To extract the application, use Valthek as a password. When UAC pops up, click Yes. The vaccine will be running in the background and you will be protected from GandCrab file infection. 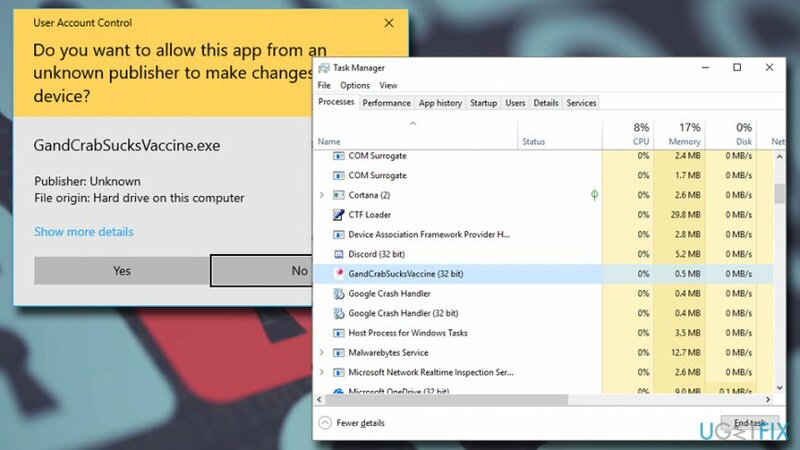 Finally, after you remove GandCrab virus from your computer, scan it with Reimage, as it can can clean Windows Registry and recover from other virus damage. ^ Encryption algorithm. Webopedia. Online Tech Dictionary for Students, Educators and IT Professionals. ^ Doug Olenick . Cybercriminals double up using Vidar and GandCrab in single attacks. SC Media. Cybersecurity News, analysis and Product Reviews. ^ The Emotet Survival Handbook. Barkly. Endpoint Protection Platform. ^ Manish Sardiwal, Muhammad Umair, Zain Gardezi. Fallout Exploit Kit Used in Malvertising Campaign to Deliver GandCrab Ransomware. FireEye. Threat research. ^ Valthek. Private account. #malware analyst with 20+ years of experience Low and high programmer.. Twitter. Social Network.